This s’mores pizza is a great way to enjoy that s’mores camping taste from the comfort of your own backyard! 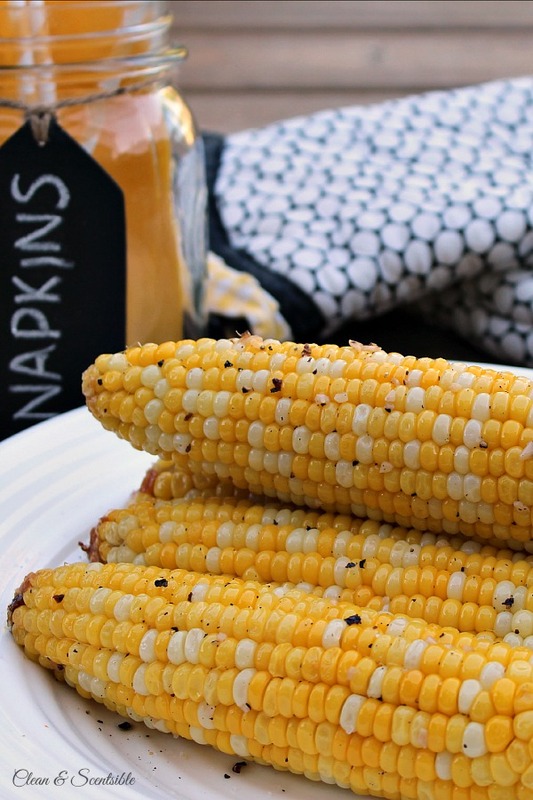 Perfect for those backyard campouts, and summer parties! Camping season is almost here and what better way to usher it in than with a s’mores recipe! We always try to get out camping at least a few times each summer, but this s’mores pizza can give you the taste and fun of camping without all of the hassle! 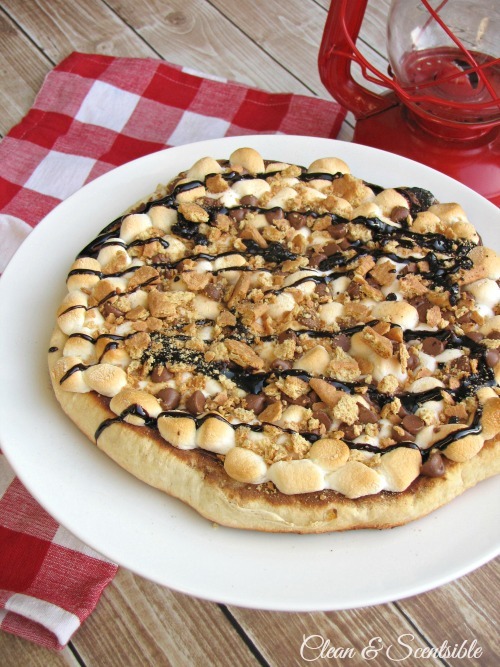 This grilled s’mores pizza is one of my kids’ favorites. It’s a great way to get some of that s’mores camping flavor in your own backyard and they’re lots of fun for summer parties too! We like to do it on the BBQ, but you can always make it in the oven if you prefer. Just follow the baking times on the pizza dough packaging and watch that the top doesn’t burn! Preheat pizza stone for 10-15 minutes on medium high heat. You can test that the stone is ready by using a drop of water over the stone – the water should evaporate immediately. Decrease the heat on the grill to low (approximately 200-250F). Sprinkle the top of the pizza stone with cornmeal and transfer the pizza to the stone with a pizza peel. Close the lid on the grill. Top immediately with remaining chocolate chips and graham crackers, and drizzle with chocolate sauce if desired. So are you ready for a little s’mores delight? Give it a try and I’m sure you’ll love it as much as we do! If you like hosting BBQs, you’ll also love these recipes for your next backyard BBQs and summer parties. One of our favorite ways to enjoy summer! Wow…as if regular pizza wasn’t yummy enough! This looks AMAZING! Thanks so much for sharing with #ShareTheWealthSunday! oh so super yumm!! 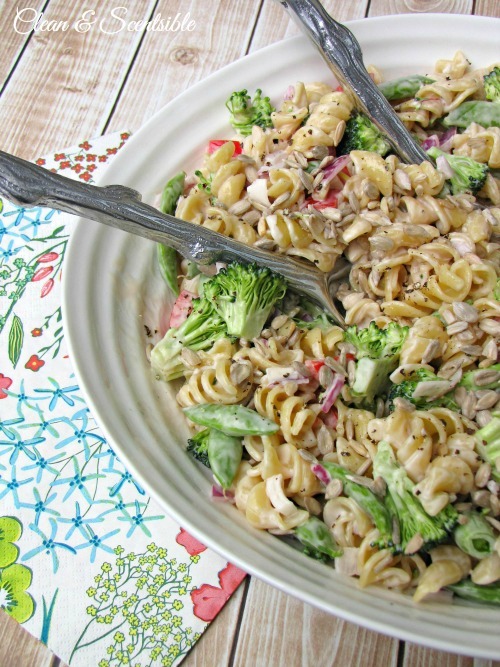 I can’t wait to try this and have all the ingredients on hand! The only problem – pin to desserts or pizza or camping or all!?!? What a fun idea! I love the s’more pizza idea on the grill! Visiting from Home Matters Link Party! Yum. 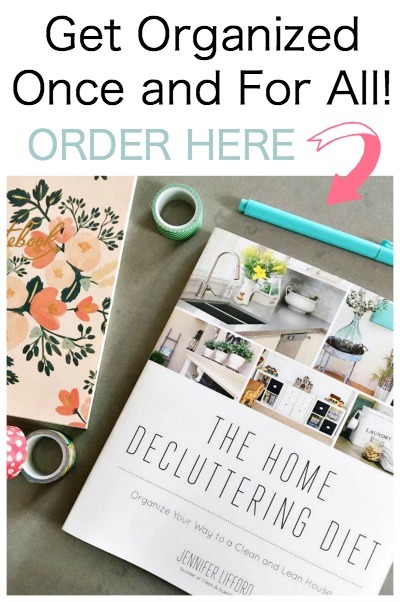 Thanks for joining the Small victories Sunday Linkup. PLease join again. 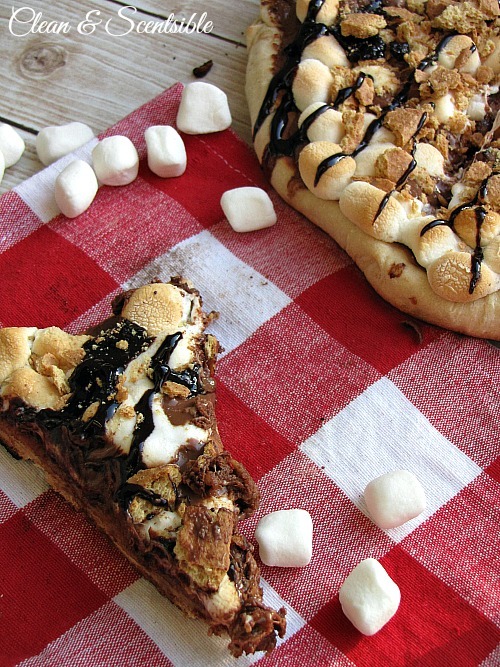 S’mores Pizza is such a fun treat to make in the summer. We love . Thanks so much for sharing with Foodie Friends Friday party this weekend. Pinning/sharing. Thanks Joanne! Have a great weekend and thanks for hosting! That looks amazing, I cannot wait to try it out! My kids are going to adore it! Thanks for sharing your recipe on Weekend Bites! Find it on tonight’s features on Practical Parenting Ideas as part of our Summer Barbecuing post! Thanks so much!! Love summer BBQs! 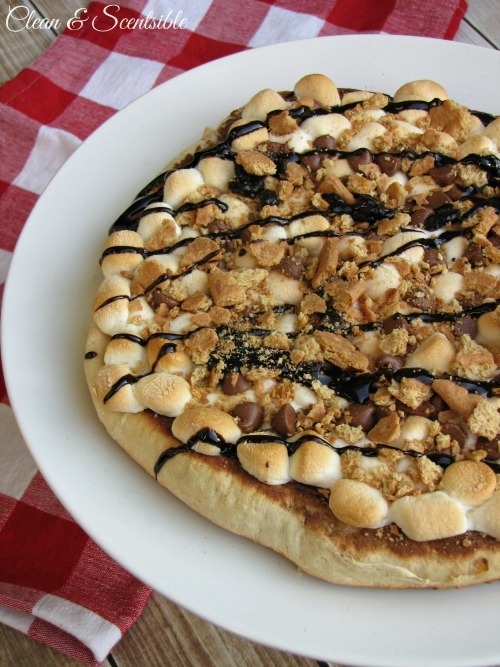 Oh my goodness, this S’mores Pizza looks scrumptious! What a perfect summer dessert. My kids would love this! Thanks! I hope you get a chance to try it! Happy Summer! 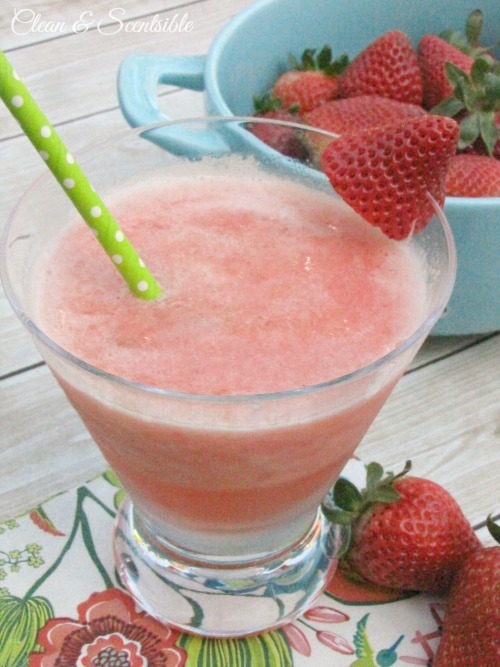 What a fun dessert for summer! Thanks for sharing with SYC.